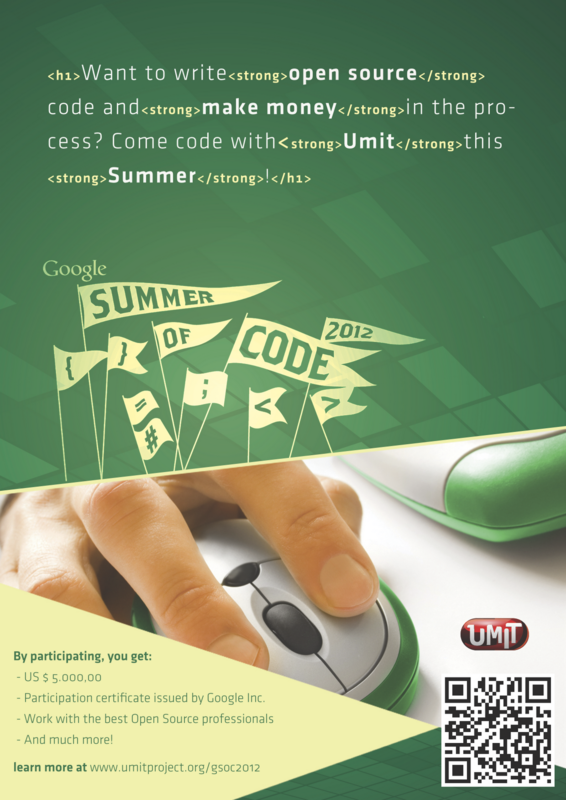 Umit project: Google Summer of Code Student Application is on! Google Summer of Code Student Application is on! If you're looking for some adrenaline this Summer developing some Open Source Software for a big Open Source Organization, have this software published by them and make money in the process, this is your chance! Summer of Code is a program that Google runs since 2005, and it gathers real world Open Source developers to mentor students to develop Open Source softwares during Summer while making US$ 5,000.00 in the process. Not to mention the awesome t-shirt all students get, as well as some nice Google swags and a beautiful participation certificate issued by Google in student's name. Sounds like a great boost to your resume! If you're up for it, consider applying for Umit Project! We definitely have the coolest ideas out there, and a nice and welcoming team! But hurry! Student application deadline is April 6th 19:00 UTC!